The brakes on the Corolla are not very special. They are a simple design, made from cast metal and were mass produced. That usually means that they are pulled from the casting block and don't get much attention on their appearance after that. For a car like the Corolla, they simply have to function properly and don't have much appeal. So it doesn't really matter if they look a little rough. Most of those cars back then, still used metal rims with hubcaps on them so you didn't even see them most of the time. But nowadays everybody has lightweight alloy rims under their cars and the brakes become a lot more visible then. And a big chunk of rust sitting behind those nice rims isn't exactly doing the car any favours in appearance. Most people just get rid of the rust a little, paint them a nice color and call it a day. But I wouldn't be me if I didn't make it just a little harder on myself. 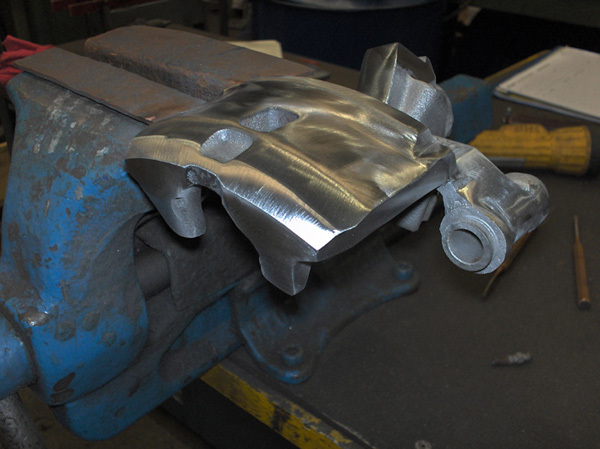 Even if those calipers are painted, you can still see the rough casting edges and rough surface finish on them. That's just one of those little things that just nag at me after a while. If the rest of the car is perfect, then so should be the brakes sitting behind the wheels. I wanted to improve on the finished look of the brake calipers as much as I could before I would send them off to the powder coaters. This meant I had to remove all those rough edges and grind down the surfaces to get a nice, even look to them. 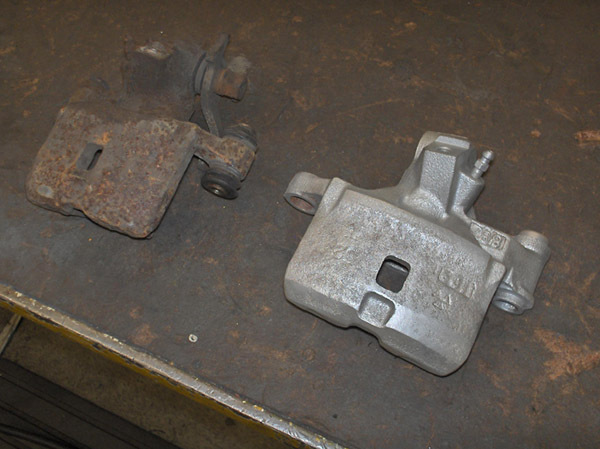 I got the AE101 front brake calipers from a scrapyard and the rear brake calipers came from my own car. Both were pretty rusty. The rear brake calipers. 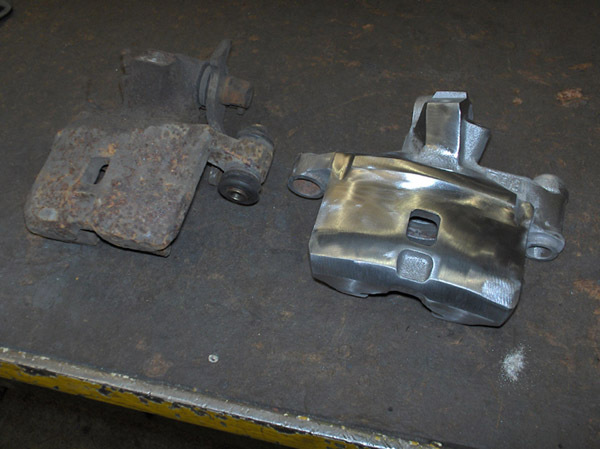 As they came of the car on the left and sandblasted on the right. To get rid of the rust, I sandblasted them first to get them all cleaned up so I could see what base material I had to work with. As can be seen in the picture above. 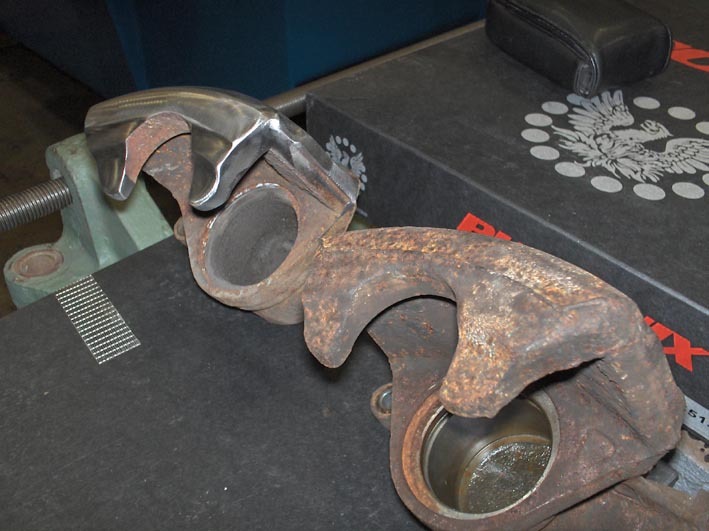 The rust had been eating at those calipers for quite some time now and the surfaces wouldn't look to pretty with just a layer of powder coating. So I had to get rid of that rough surface. The front brakes got the same treatment. 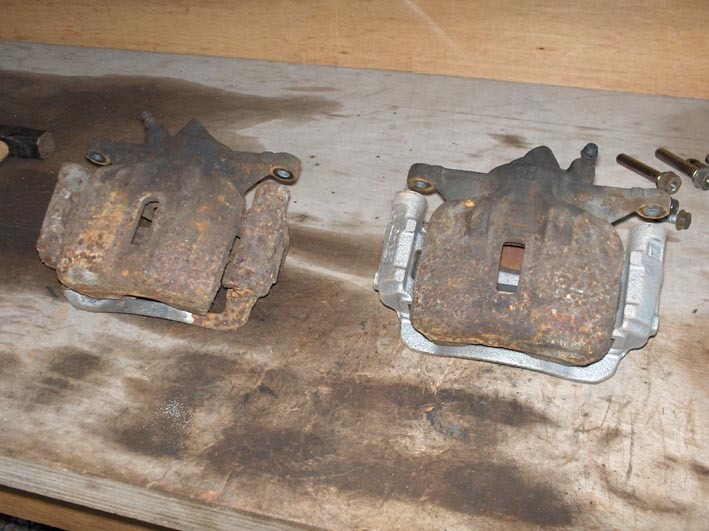 First all the rust was blasted off, and then they were ground down to get a nice even surface finish. It took me a few hours of grinding before I was happy enough to send them off for powder coating. I could have chosen every RAL color I wanted. But I opted for sporty red. Whatever the color of the car is going to be, you just can't go wrong with red brake calipers. And I chose for powder coating over simply painting them for a number of reasons. 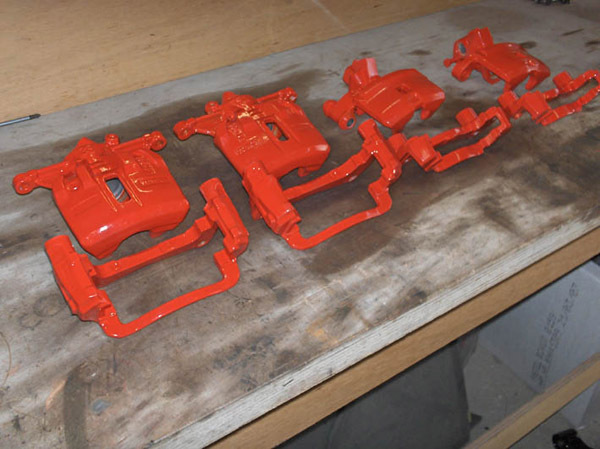 A powder coat is much more durable and tougher than a coat of paint. It can handle the heat better and lastly, the entire undercarriage of the car was powder coated, so slipping these few parts in didn't cost me much more. In the picture above you can see how the powder coating came out. I am quite pleased with them. Now all I have to do is rebuild them and then they are ready to go back on the car and sit pretty behind the wheels.